This past week was busy once again. I am trying to get some work done in the kitchen along with a few other things. It has been crazy trying to figure out how to balance everything out. Of course then you have to factor in my age. Things just don’t work like they used to work. My back continues to give me fits, but as long as I am up and walking around it’s not bad. It’s just that getting up and down that causes me problems. Vicki told Joshua and Danielle that she wanted Sutton to come over for a sleep over on Friday night. How exciting is that! I had in mind a quiet and peaceful night but that all changed when Sutton came for his sleep over. Yet like always, he just poured all the toys out on the living room floor and played. He put things together that I’m not sure were even meant to be put together. But he had a great time. If Papa got up from his recliner, Sutton was sure to slip into it. He even did it with Memaw as well. Then he would just laugh! At one point we went to the church and were gathering some things up in the fellowship hall. Vicki told Sutton that he could have a snack from her Sunday School class but Papa had to take him to get it. We had to walk through the sanctuary which was really dark. I told Sutton to follow me and I would lead him. He just followed right behind me and we made it with no problems. That made me smile. Here was my 3 year old grandson telling me how happy he was to have come to the light. But it made me stop and think about my spiritual responsibility toward him as well. I told him to follow me at first. It is part of my responsibility to lead him in the direction that will help him come to life in Christ. I need to make sure that I am walking in such a way that he can see Christ in me and know that living for Christ is truly important. But I probably won’t always be around. So when I told him to go towards the light, my thoughts turned to those times when I, even his parents, won’t be around to lead him. He will need to go toward the light of Jesus Christ so he will be able to walk in the way he needs to go. 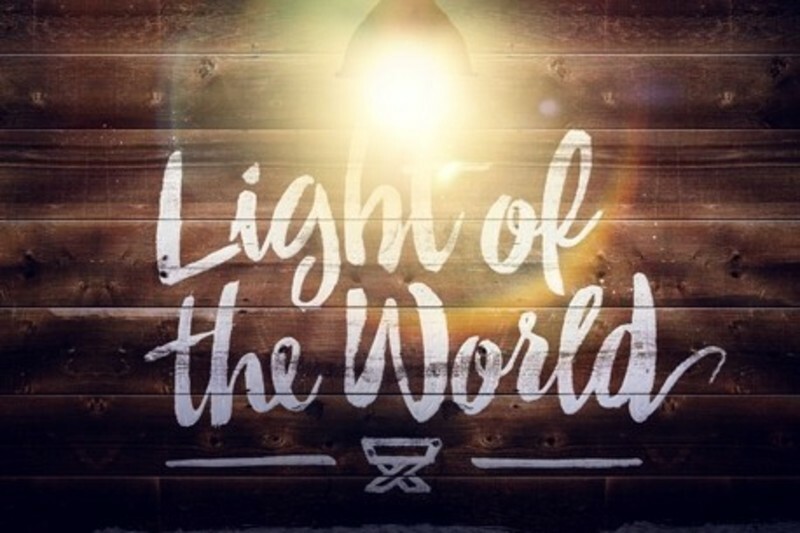 It says in John 8:12 -- 12 Then Jesus again spoke to them, saying, “I am the Light of the world; he who follows Me will not walk in the darkness, but will have the Light of life.” That is the promise that Sutton and every person in this world has in their life. It is my prayer that all my grandchildren -- Sutton, Harper, Trae, Caitlyn, Camryn, Timothy, Amayah, Noah, Dakota, Scout, Lance, and Piper (coming in February); as well as all others will go toward the Light of the world -- Jesus Christ. Are you going towards the Light and pointing others there as well?